In an effort to assess how electronic health records are actually used by physicians, researchers from American Medical Association and MedStar Health took a look at clinical workflows at four health systems – two that use Cerner and two that use Epic. Their findings, published this month in the Journal of the American Medical Informatics Association, point to wide variation in how EHRs are put to work and suggest that vendors could do well by implementing performance standards to optimize usability and improve patient safety. Researchers from MedStar's National Center for Human Factors and the AMA examined how a dozen or so emergency medicine docs at each location completed six specific scenarios – two each for diagnostic imaging, laboratory and medication – in their Cerner and Epic systems. They tracked them by collecting keystroke, mouse click and video data. Such a wide variation points to the need for system optimization, researchers concluded, noting that smart EHR implementation, in tandem with good design and development on the vendor side, is "critical to usable and safe products." Some of the differences in performance were striking. For instance, completion of an imaging order in one location took just 25 seconds at one health system, but more than a minute at another. Placing an order took eight mouse clicks at one hospital, meanwhile, but at another site the same task averaged an astounding 31 clicks. Researchers found that one location had no errors when ordering medication in the EHR – while another had a 30 percent error rate. “While there are many benefits to using EHRs, there are also usability and safety challenges that can lead to patient harm," said Raj Ratwani, center director and scientific director of the MedStar Human Factors Center, and the study's lead author, in a statement. Part of the reason for this wide variation of usability and efficiency is that most EHRs are customized and configured by vendors and providers as they're implemented. Even though EHR vendors are required by ONC to incorporate principles of user-centered design and conduct usability testing, once systems are rolled out in real-world settings they're often very different from the ones that were tested and certified by the government. The report suggests that basic performance standards EHR design and implementation could go a long way toward addressing this variation – and vendors and providers should work together to embrace them to ensure optimal usability and safety. 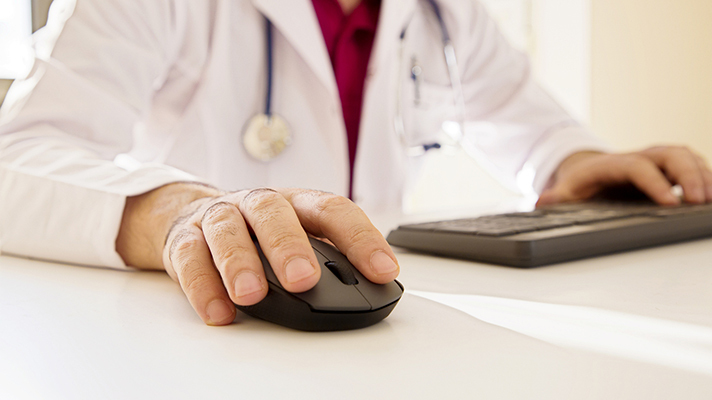 "Our findings reaffirm the importance of considering patient care and physician input in the development and implementation of EHRs," said Michael Hodgkins, MD, chief medical information officer of the AMA, one of the study's co-authors. "There are multiple variables impacting the end user experience that contribute to physician burnout, a diminished patient-physician relationship, and unrealized cost savings. While design can be an important factor, so too can implementation choices made onsite."